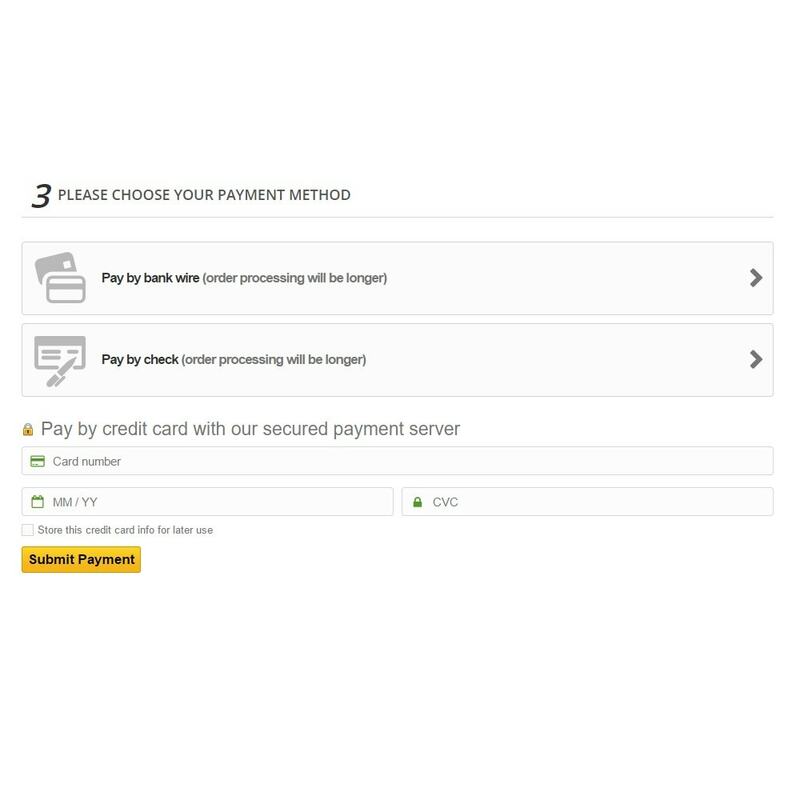 The Stripe Payment module allows you to accept payments using Stripe payment provider. 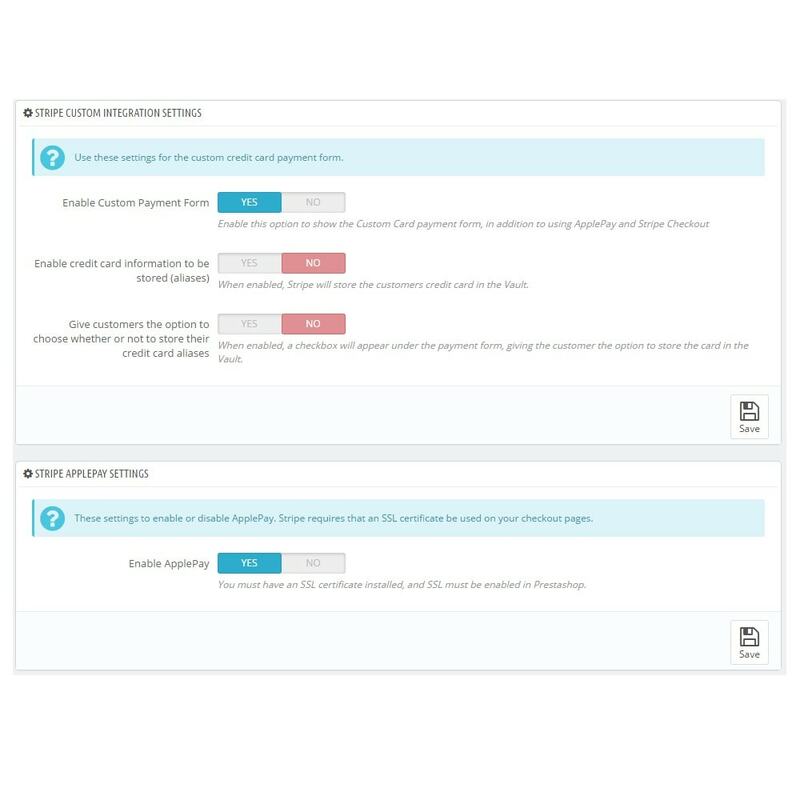 Customers stay on your website and the payment module communicates directly to the Stripe gateway to authorize the transaction. Credit Card information is not stored on your servers, it is only collected, encrypted and transmitted to the payment gateway. 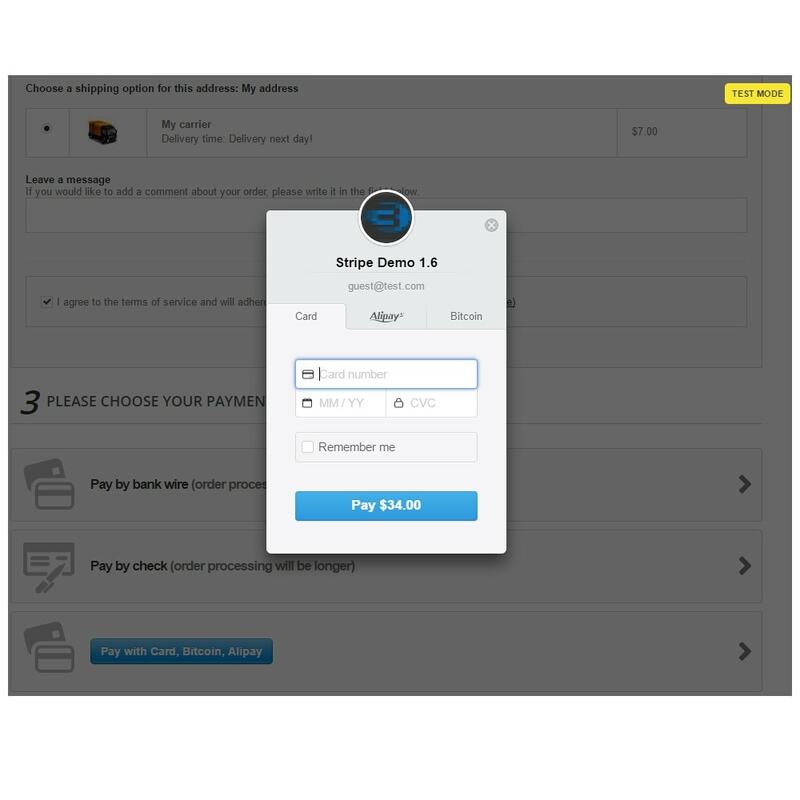 Once the transaction is complete, the Stripe transaction ID is stored with in your order details. 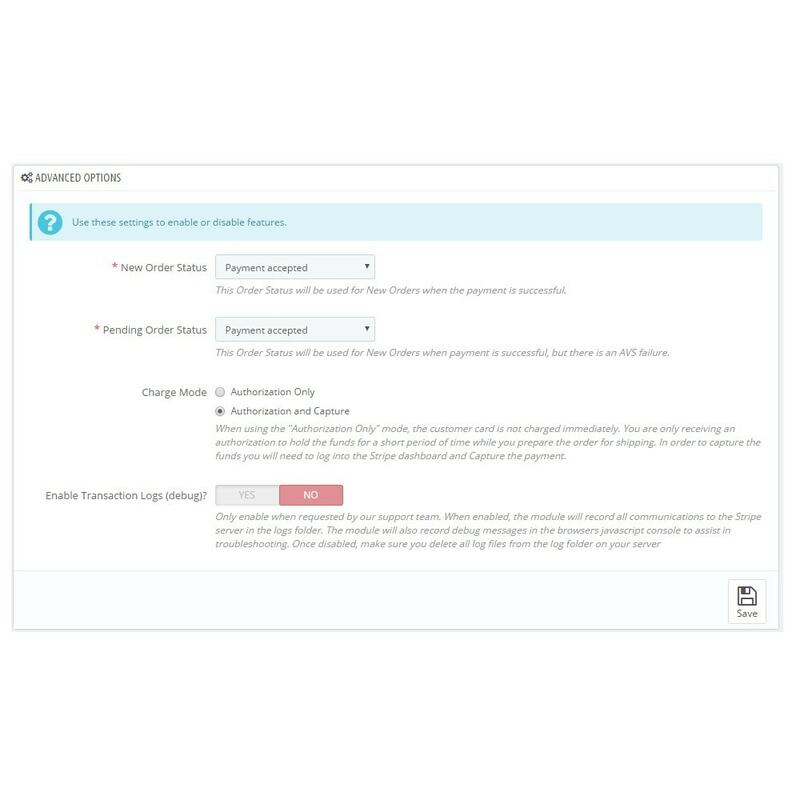 In order to use this module, you must open an account with Stripe. Stripe may require that you have an SSL certificate installed before moving to production. Please refer to their help pages for more information. 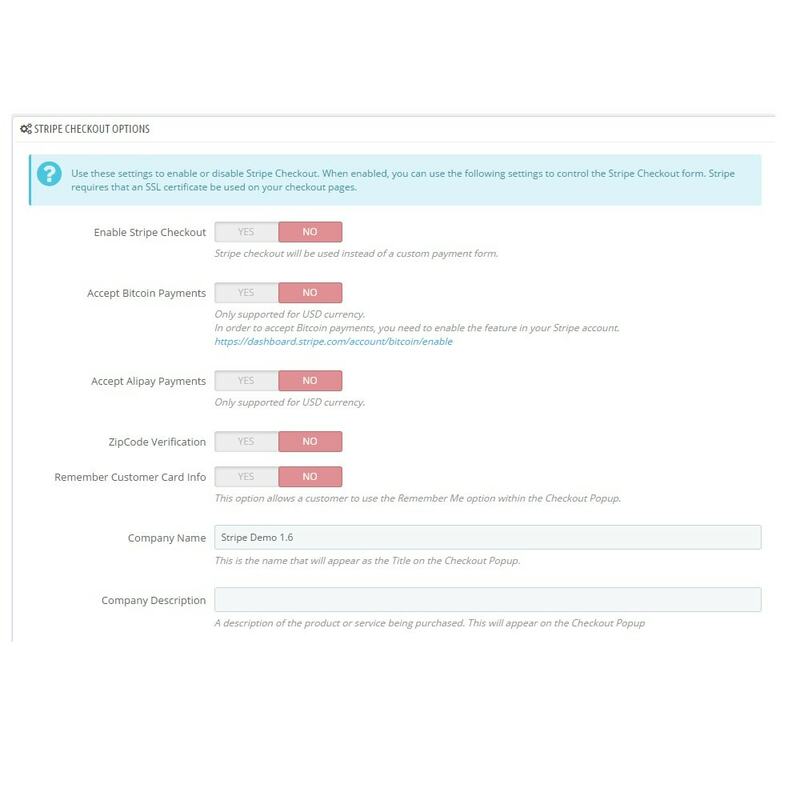 Merchants can choose to Capture funds immediately, or configure the module to use "Authorization Only" mode. 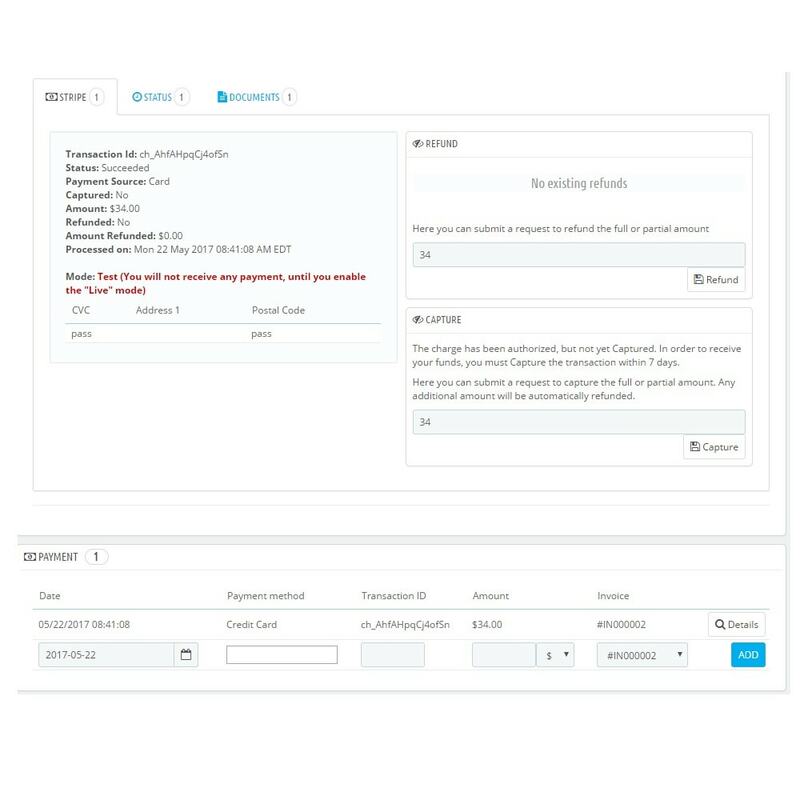 With "Authorization Only" mode, you can delay Capturing the funds until after you process and ship the order. 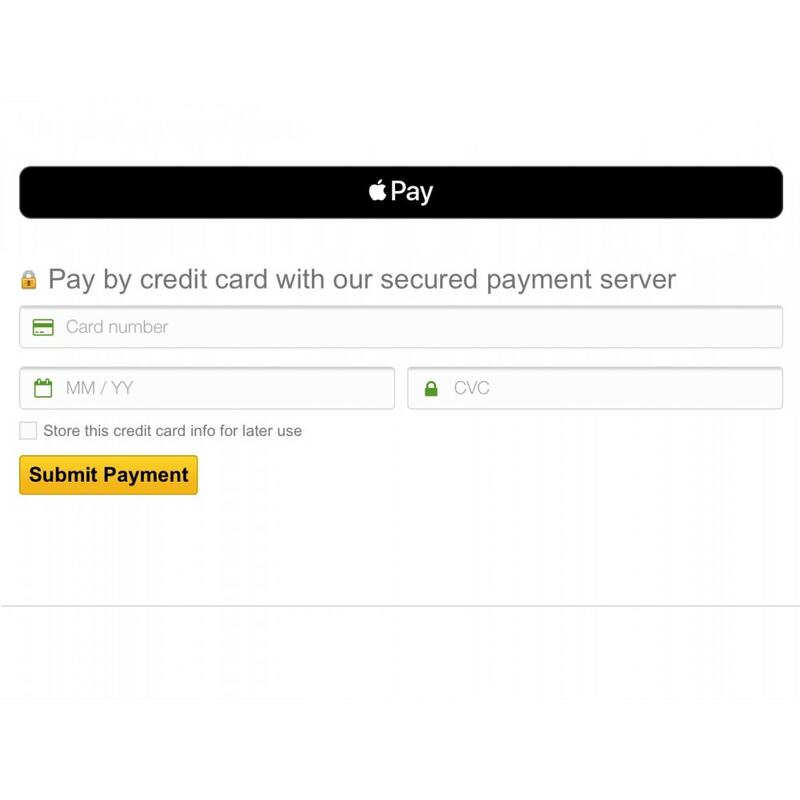 Credit Card information never reaches your server. 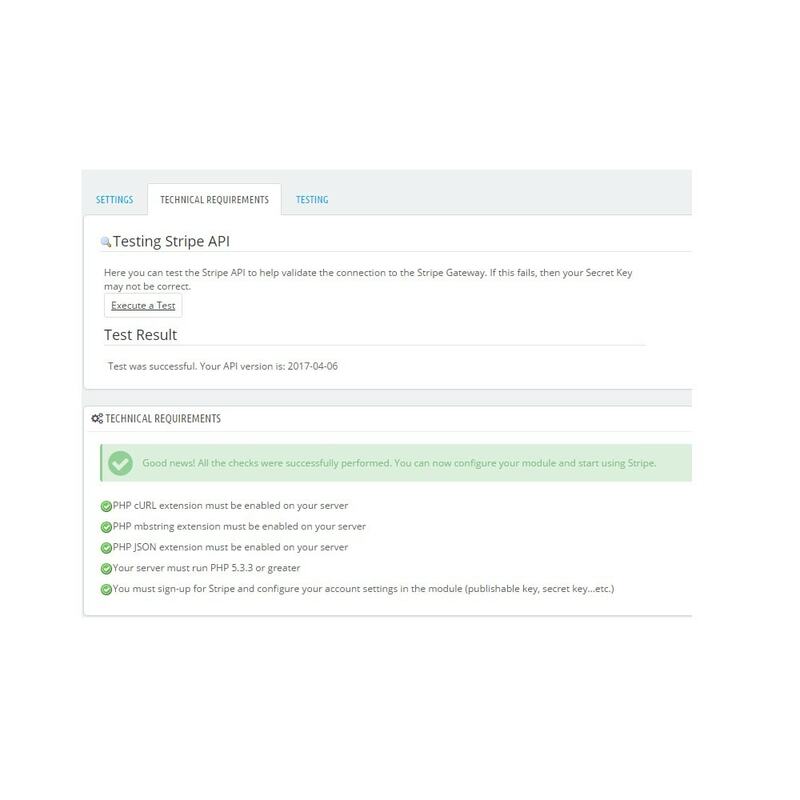 The secure Stripe interface collects the information and provides the module with a single use token. 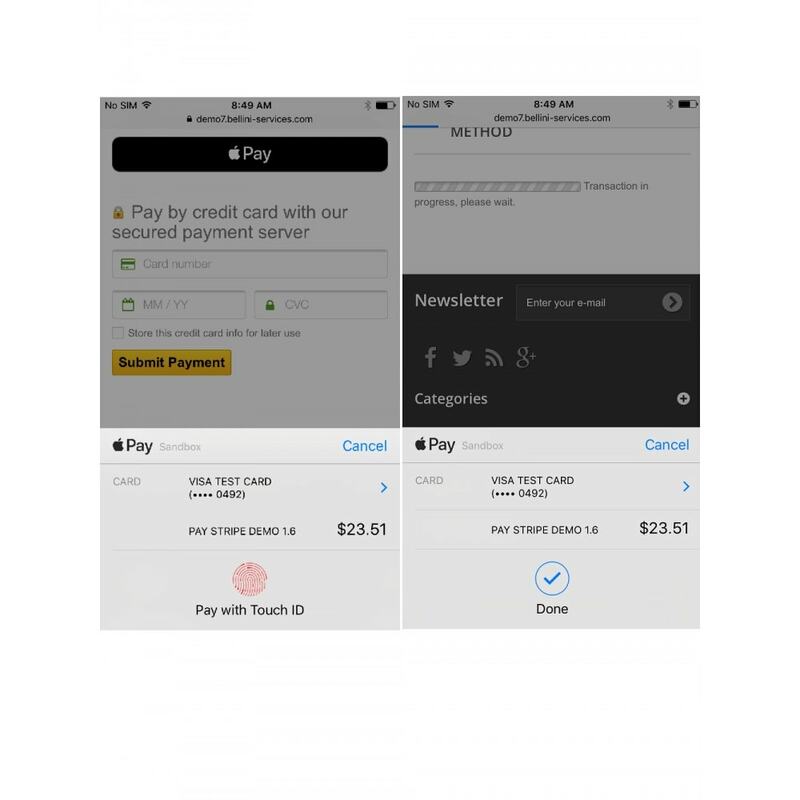 Give customers the option to store the Credit Card information to be used for future purchases. 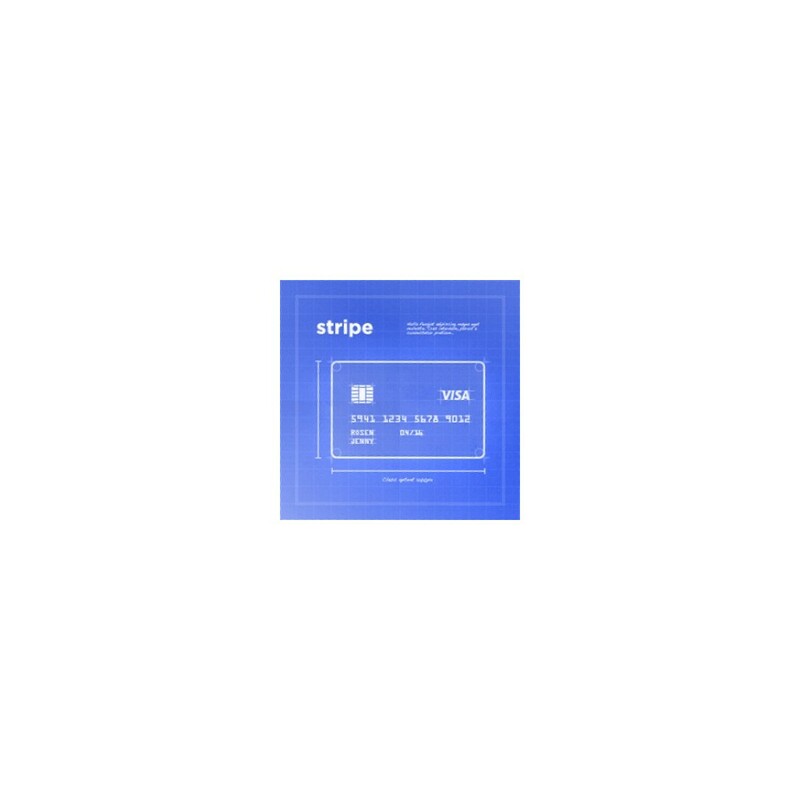 Stripe's Token feature safely and securely encrypts the card holder information, protecting the customer and merchant from exposure. Stripe may also require that you have an SSL certificate before they will allow you to process transactions in Live mode. 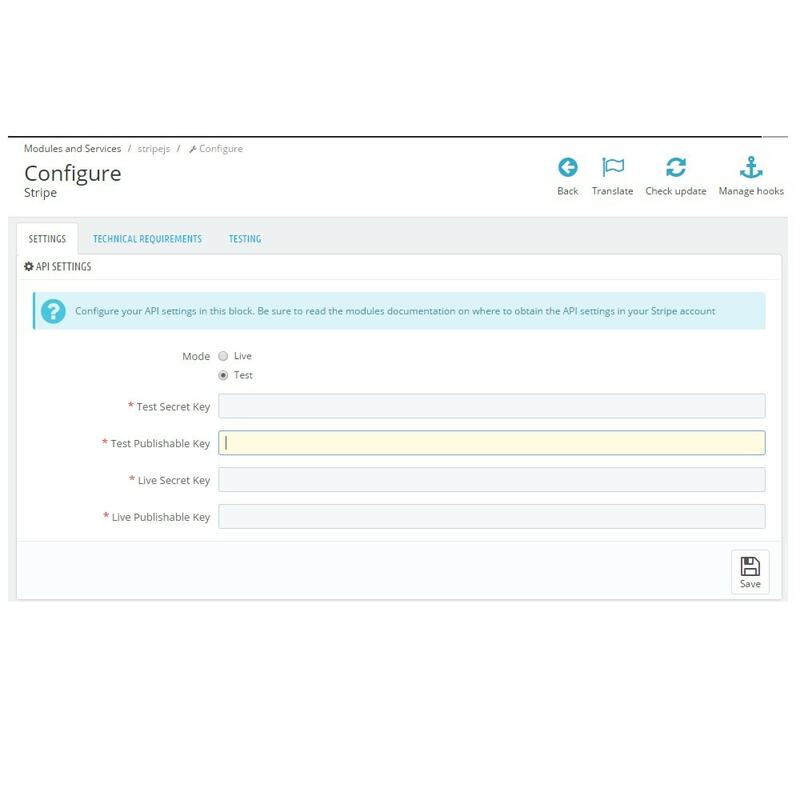 Therefore the module does enforce this requirement.